These eateries will get you fired up for winter. 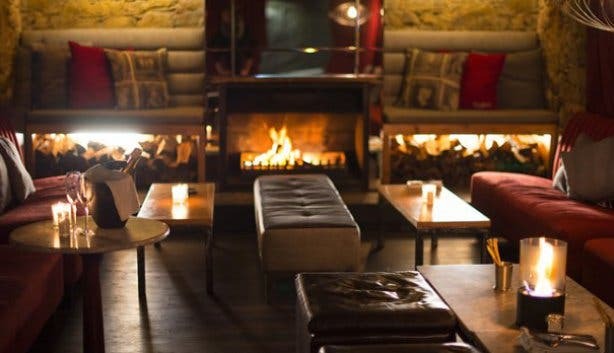 Not just because they have (wood or gas) fireplaces, but also for their specials, live performances or both in most cases. 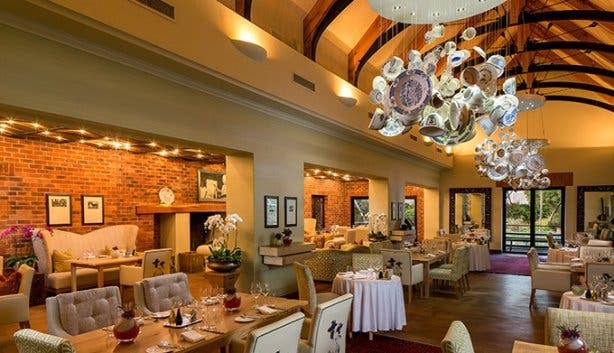 Pierneef à La Motte, the restaurant on the La Motte Wine Estate, boasts a delicious menu of South African heritage cuisine with a modern interpretation. 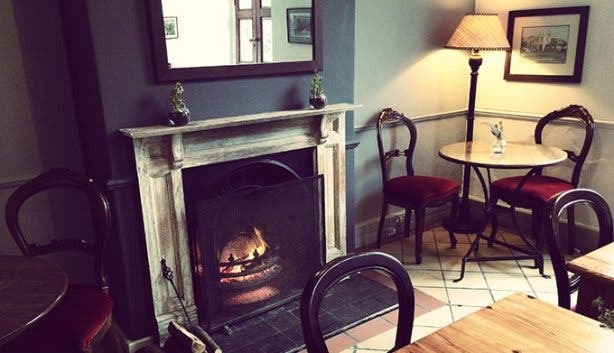 Relax with the informal Garden Menu outside on the patio or in the garden on summer days, or opt for the more sophisticated à la carte menu served in the elegant dining area – a must on colder days with a seat close to the wood-fired fireplace. Ambience: The beautiful restaurant has a sophisticated and elegant ambience. 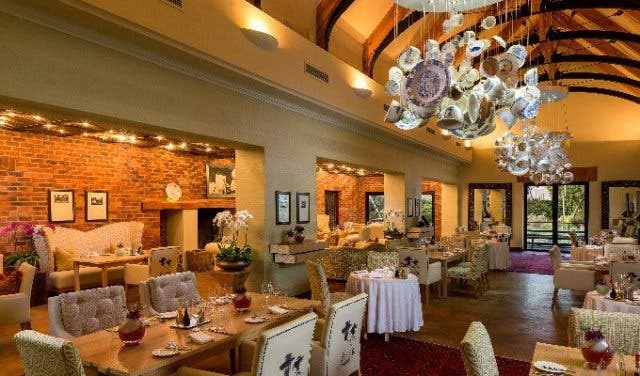 Hot tip: Enjoy wine and food tastings every Friday morning for the price of R295 at La Motte Wine Estate. Elegantly decorated, a Euro-style eatery you might have expected in Milan or Prague, but in the heart of Cape Town. And there’s always something special happening: From specials on steak at #2FOR1Mondays to service in perfect pairs on #HQDateNight on Tuesdays and dinner and dancing at Friday Feels. 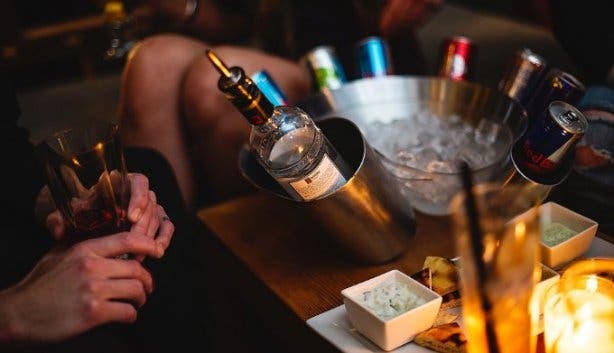 With comfy fireside seating in the lounge or sharing a candlelit meal in the courtyard, for romance you’re going to want to check out HQ restaurant on Heritage Square. 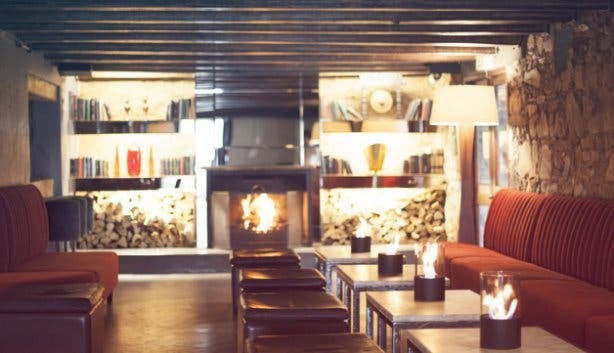 Ambience: Cosmopolitan with a courtyard and slick wood-fired fireplace and cosy couches. 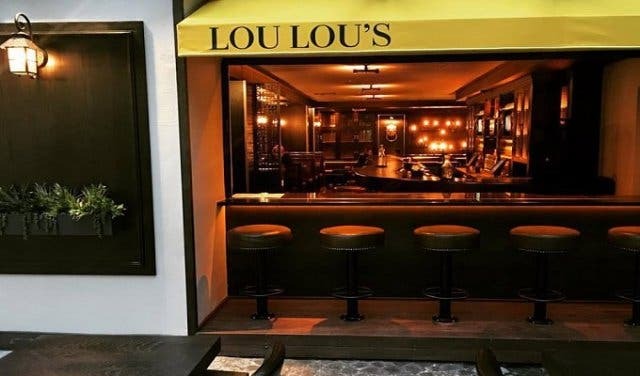 Lou Lou’s is where you go for after-work drinks that turn into dinner because the space with its cosy gas fireplace is so welcoming. Ambience: In the interior classy low lighting and gold and leather touches flow through. Yet there's nothing stuffy about the space or the food, at this restaurant and bar with the look of a New York-style whiskey and cigar lounge. Hot tip: On Friday and Saturday nights there is a DJ on the decks. Everything about Life Grand Cafe (which once was a post office) is, well, grand: They have more than a 100 meal offerings and drinks, and views of the yachts in the harbour. Ambience: It’s a light and bright space, but because there are five wood fireplaces dotted around the expansive space this modern space easily transforms to warm and cosy. Hot tip: There are live performances and a DJ on Sundays. 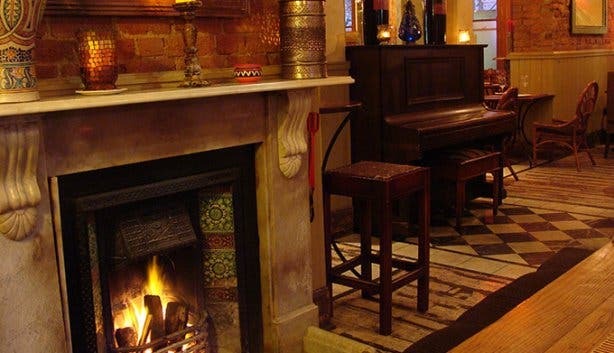 At Piano Bar, you can dig into a tapas dinner while listening to live melodies within the venue’s dark grey walls. There’s lots to love about this moody music revue bar and eatery. 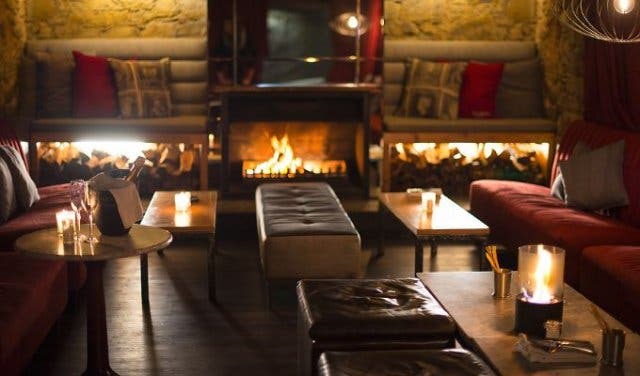 Ambience: You’ll find a vibrant mix of different groups of people at this laidback, unpretentious venue, with a lovely wood-fired fireplace. You should book as it can gets packed on nights with live entertainment. Hot tip: They have two-for-one cocktail specials every evening, a date night special on Mondays, and a burger and beer deal on Tuesdays. 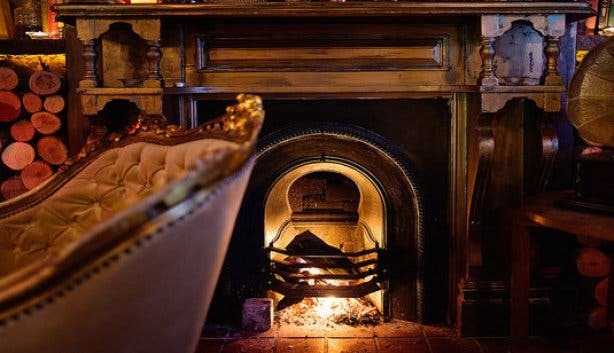 Plus, you can book a stay in this gorgeously restored 19-century Victorian building by booking a room at the exciting and romantic The Grey Hotel upstairs. Patrons go to Asoka for good company, great food and live jazz and dance to deep house. You might want to book the private nook (with its own gas fireplace) if you’re going for something more intimate and/or romantic. Ambience: This is a seductive space. Plush cushioned booths that wouldn’t be out of place in an Ottoman Empire palace line the walls and at the centre of everything rests an ancient tree with branches that spiral up and out of a rectangular skylight in the roof. Hot Tip: Smart casual is the way to dress as this is not your average jeans-and-sneakers joint. 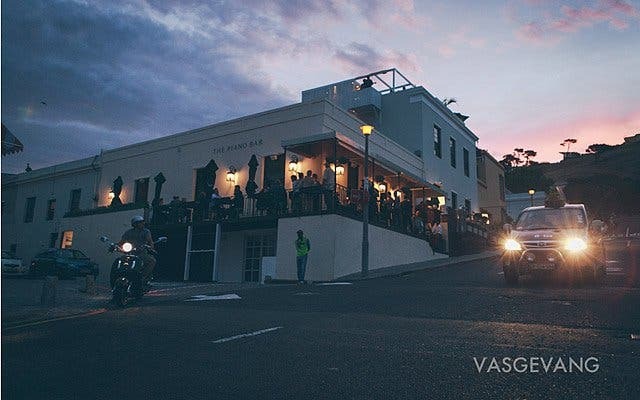 Kloof Street House is set in a magnificent Victorian-era house. 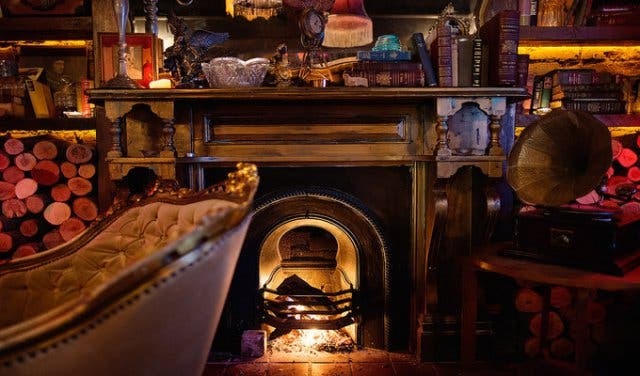 Outside is lush foliage, but inside this welcoming and intimate restaurant are more than three crackling wood fireplaces to enjoy at Kloof Street House. Ambience: Inside the eclectic interior of vintage furniture are bookcases, upholstered wingback chairs and leather couches. It’s accessorised by gramophones, various vases, gold cherub ornaments, tiny clocks. Hot tip: Relish live performances on Sundays as you dig into the Mediterranean-style bistro food. Rick’s Cafe is the restaurant that is themed around the 1940s classic “Casablanca” and serves Moroccan meals, which makes for great comfort food by the way. They have three wood fireplaces. Ambience: It’s vibrant, rich and warm interior with various warm nooks and dens for diners to hide away in. It gets very busy at the bar, which also overlooks a wood fireplace at Rick's Café Américain. Hot tip: They have an array of hookahs and over 600 beverages to choose from. Elegantly decorated Headquarters, or HQ as it is known, serves a daringly simple menu and is famous for their sirloin steak chips and a house salad. 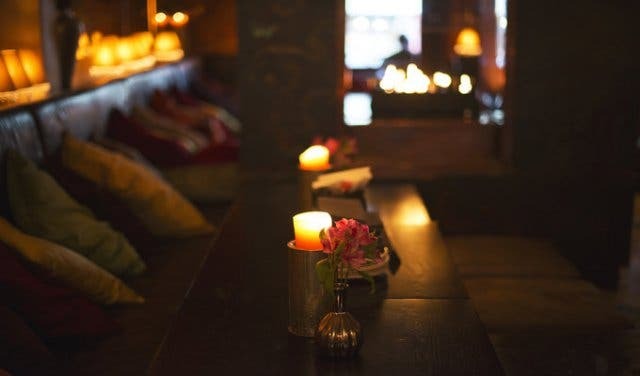 Ambience: It’s a cosmopolitan space with closely set tables and an open-plan kitchen, and a slick wood-fired fireplace surrounded by cosy couches. Hot tip: Monday’s is the 2-for-1 dinner special and Tuesday is the date night special. Both nights have live entertainment. 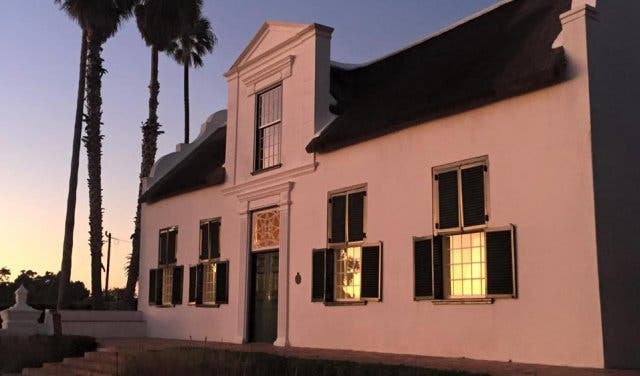 Wild Fig is housed in a beautifully restored 18th-century building on the historic Valkenberg Estate, just outside of Cape Town’s oldest suburb, Observatory. Ambience: Inside the gracious dining room you can imagine long, cosy dinners with friends and family or a romantic interlude at a corner table. 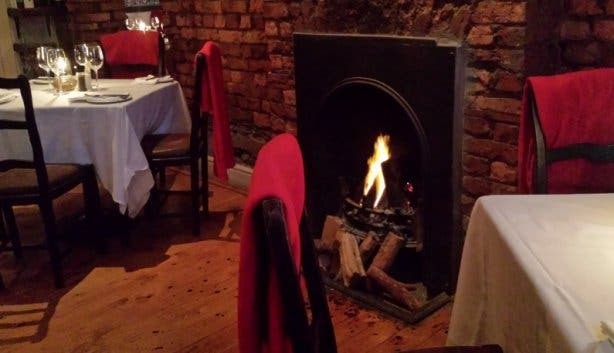 There’s a large stone wood-fired fireplace that roars to life all through the colder months. Hot tip: Patrons can choose from over 35 single malt whiskies here and enjoy a cosy dinner or a lazy lunch. 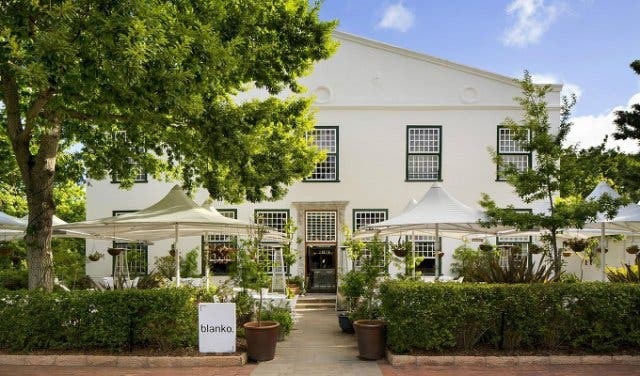 Blanko is an Italian restaurant at the Alphen Hotel, in Constantia. It’s a contemporary spot with shades of white and nudes, which showcase the modern art on the walls. Ambience: You can cosy up near the fireplace (they have two wood fireplaces) in one of the lush L-shaped couches at each corner of the room at Blanko. 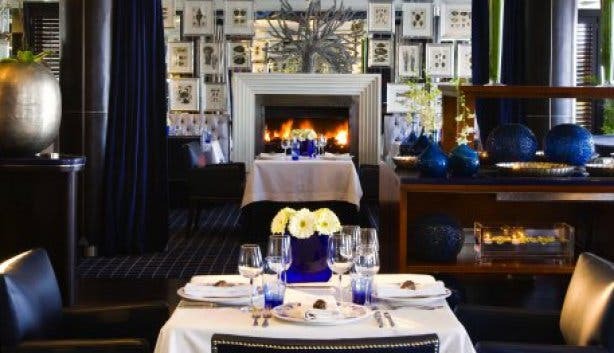 Hot tip: There are winter set menus that are priced at R190/p for a 2- course and to R240/p for a 3-course. 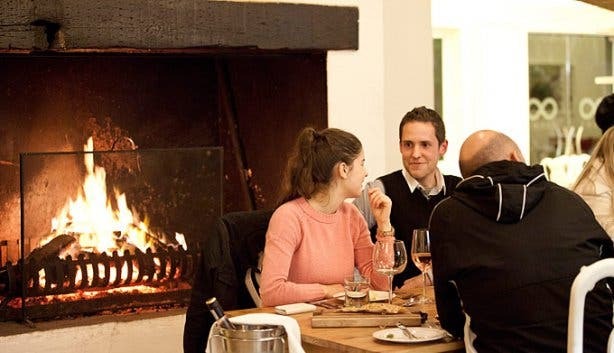 Fancy dining by a fire on one of Cape Town’s many scenic wine estates? 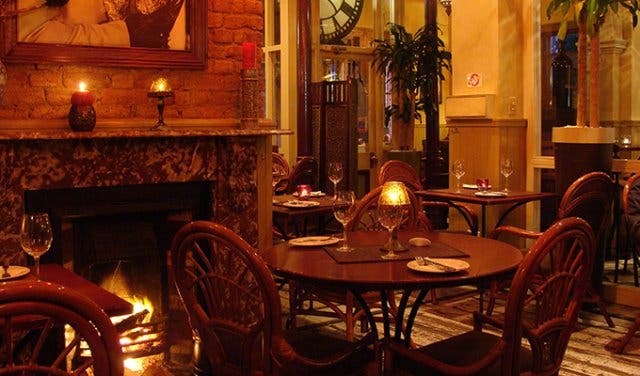 Check out our listing of restaurants with fireplaces in the Cape Winelands. We also have an overview of romantic getaways, as well as cosy winter accommodation specials. Discover yoga and help raise funds so that underprivileged schools can have it too on International Day Of Yoga. For your monthly update on what’s happening in and around Cape Town, be sure to subscribe to our popular newsletter and follow us on Facebook and Twitter.